On Monday evening, Israel's parliament passed a law authorizing the government to legalize thousands of homes built in the West Bank, in many cases on land against which there are claims of prior ownership. The measure allows the homes to remain, while compensating the previous owners with their choice of an alternative parcel of land or a payment equal to 125 percent of the land's value. 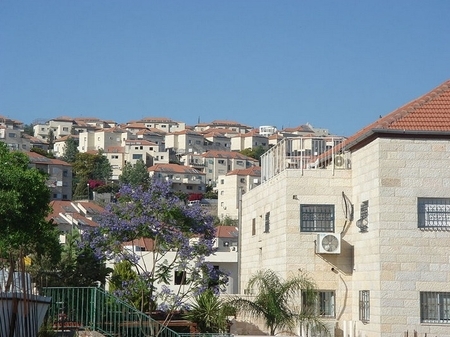 Is peace prevented by the construction of homes, like those in the Judean Hills town of Beitar Illit . . . The new law, highly controversial in Israel, is sure to be challenged in court. Many experts predict that Israel's aggressively independent judiciary will strike the law down. It wouldn't be the first time Israel's government has lost a litigation battle — and if it comes to that, the country's elected officials will bow to the court's authority. Just days ago, Prime Minister Benjamin Netanyahu, following orders from the Supreme Court, sent in security forces to remove hundreds of Jewish residents from Amona, an unauthorized hilltop community in the West Bank. Stories about Israeli settlements invariably generate breathless international headlines, as though there is something uniquely newsworthy about Jews in the Jewish state building homes and schools to accommodate a growing population. When those homes and schools are constructed in the West Bank and East Jerusalem — land Israel seized from Jordan in the Six Day War 50 years ago — there is inevitably much handwringing about the harm they pose to the prospect of peace with the Palestinians and the "two-state solution" on which an end to the conflict supposedly depends. It takes a curious derangement to conclude from this that all would be well in the Middle East if only Israel would stop enlarging Jewish neighborhoods. Yet that is the mindset of the UN and much of the international community. It was also the mindset of the Obama administration, which rarely missed an opportunity to condemn Israeli settlements — going so far as to facilitate a Security Council resolution declaring even East Jerusalem, with its storied Jewish Quarter, "occupied Palestinian territory."
. 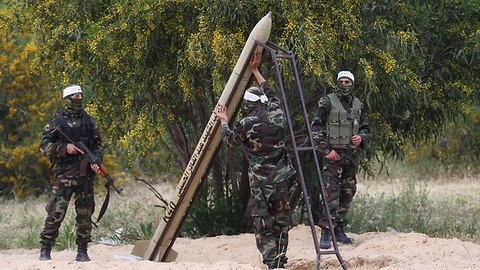 . . or by terrorists using land relinquished by Israel, such as Gaza, to fire rockets into Jewish communities? Bizarrely, those words were spun in the media as a sign that Trump had come to embrace Obama's way of thinking about Israel and the Palestinians. That interpretation strikes me as thoroughly wrong-headed — and when Trump warmly welcomes Netanyahu to Washington next week, I expect it to seem more outlandish still.